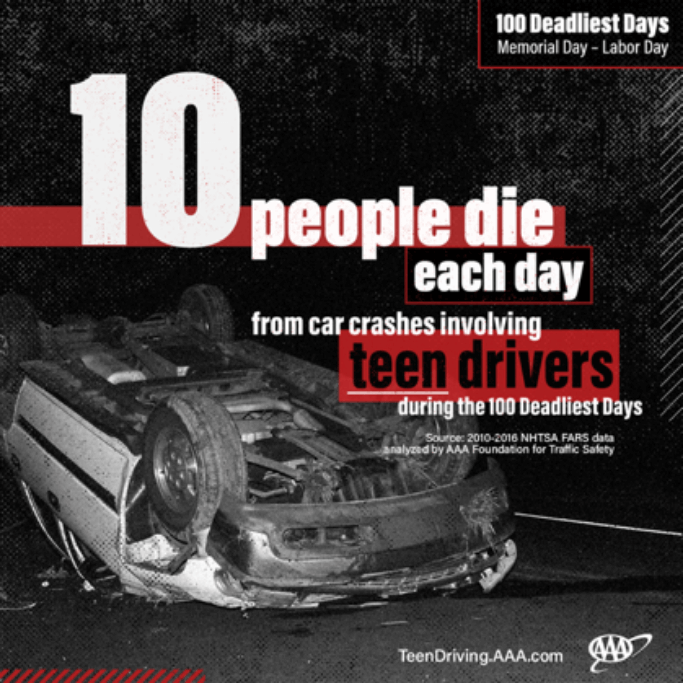 Did you know that the 100 days between Memorial Day and Labor Day are the deadliest days for teen drivers? 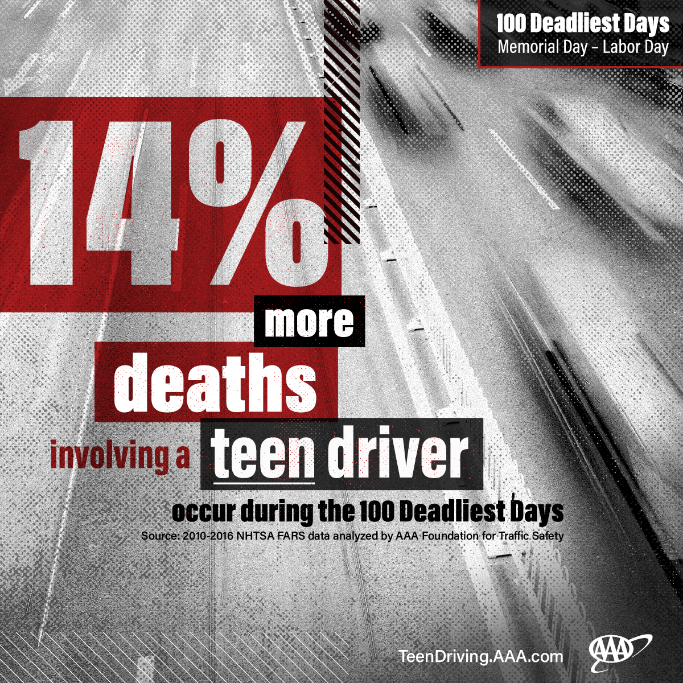 During these summer months, there's a 14% increase in fatal teen crashes Protect your teen by setting and enforcing rules before they hit the open road. drivers have taken the pledge. THANKS FOR YOUR PLEDGE and for helping make our roadways safer. Commit to being active in the learning-to-drive process and to setting a good example behind the wheel. Get ready - sign up for AAA’s online SmartStart program, which provides all the info you’ll need to get started. Enroll your teen in a quality driver education program. Enforce Graduated Driver Licensing provisions at home. Sign a parent-teen driving agreement. Like these tips? Want more? Sign up for our Traffic Safety Newsletter. We have a limited-time offer from AAA Car Care for safe drivers like you. Open to both AAA Members and Non-Members. AAA Members get $5 off any service*.